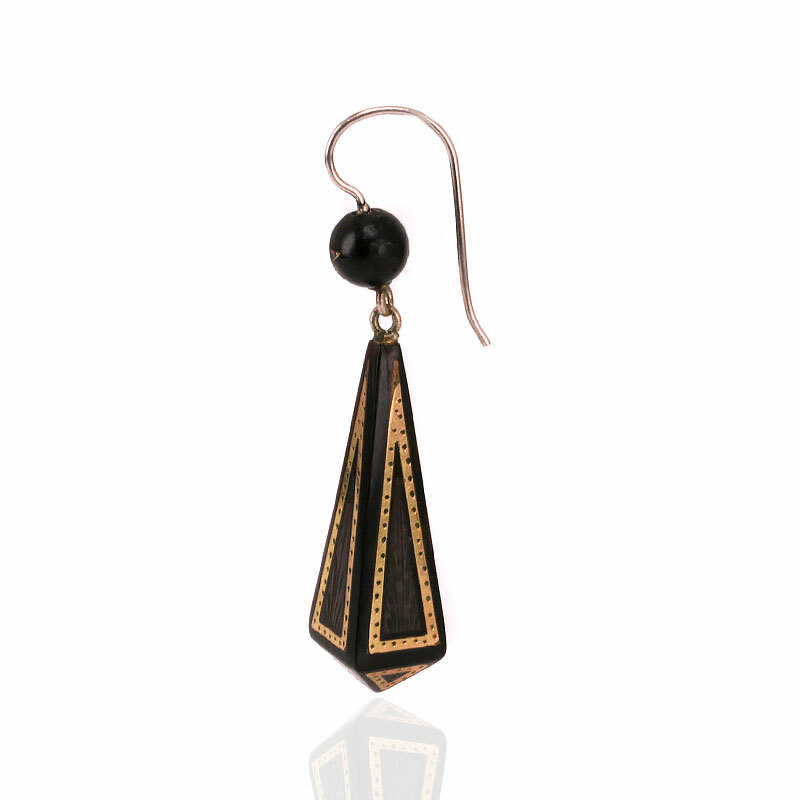 Product code: ES7798 Categories: Sold Items, Sold earrings. Pique jewellery is unto itself and is when gold or silver or even both materials are inlayed into another material, commonly tortoiseshell, and here is a magnificent pair of Victorian era antique double drop pique earrings. With such a wonderful geometric design to it, these earrings sit so well on the ear lobe and will no doubt continually be admired. Measuring 51.5mm from the bottom to the very top, these earrings have the magical way to make any woman walk tall with such a wonderful graceful elegance. Perfect for any occasion, these antique pique earrings are just divine.